The impact of Alice Corp. Pty. v. CLS Bank International, 134 S. Ct. 2347 (2014) on the patent enforcement landscape. 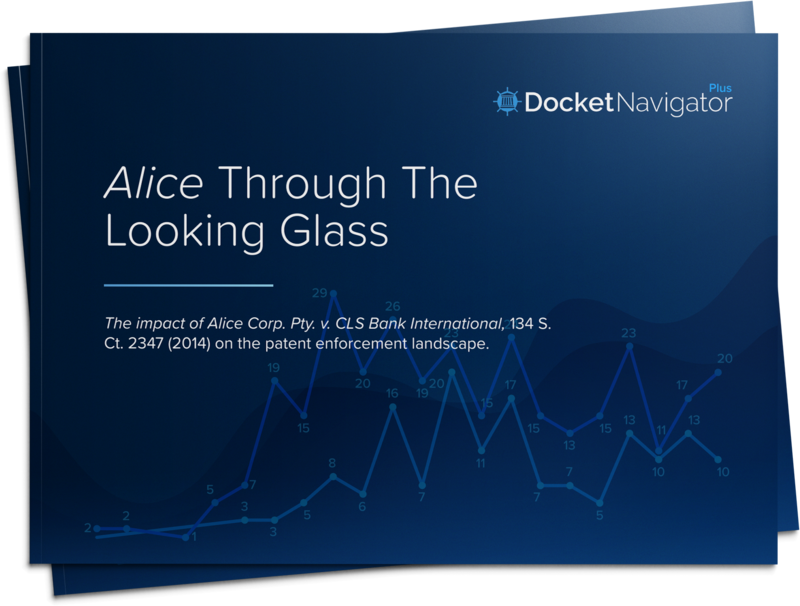 Overall litigation activity, measured by both new Patent Case filings and new Patent Accusations, has decreased somewhat since Alice. Patents with technology classifications accounted for most of the decline in new Patent Case filings (perhaps indicating a perceived vulnerability), but § 101 Challenges are no more successful against technology patents than other patents. 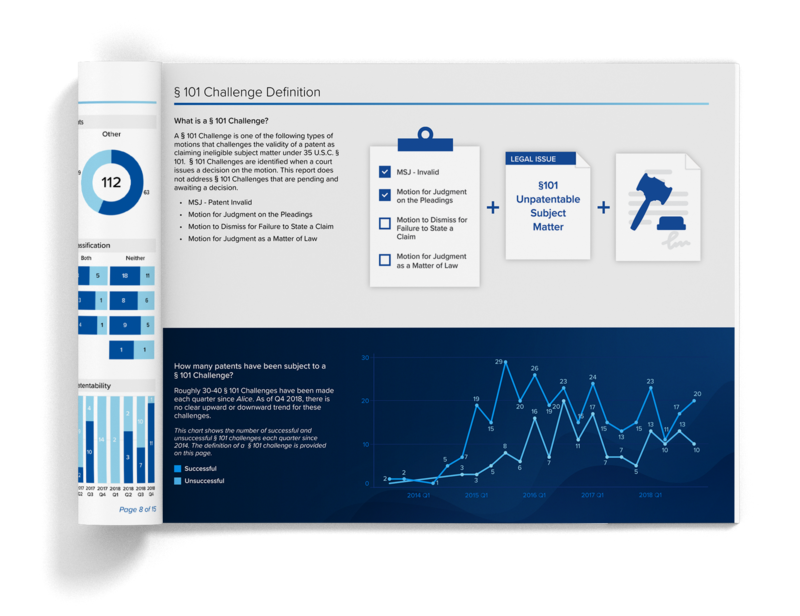 § 101 Challenges are becoming less successful over time. § 101 Challenges in the PTAB were declining, but have seen a recent resurgence. Patents that survive § 101 Challenges tend to be more successful later on.